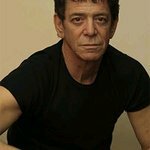 Lou Reed took part in Amnesty International's A Conspiracy of Hope tour in 1986, and was part of Farm Aid's first concert in 1985. Lou Reed has passed away, but we remember his charity work. Google trends for "Lou Reed"